An SCE Transmission patrolman and Air Ops pilot do a flyover in Santa Barbara on Jan. 22 to assess any potential damage from recent storms. 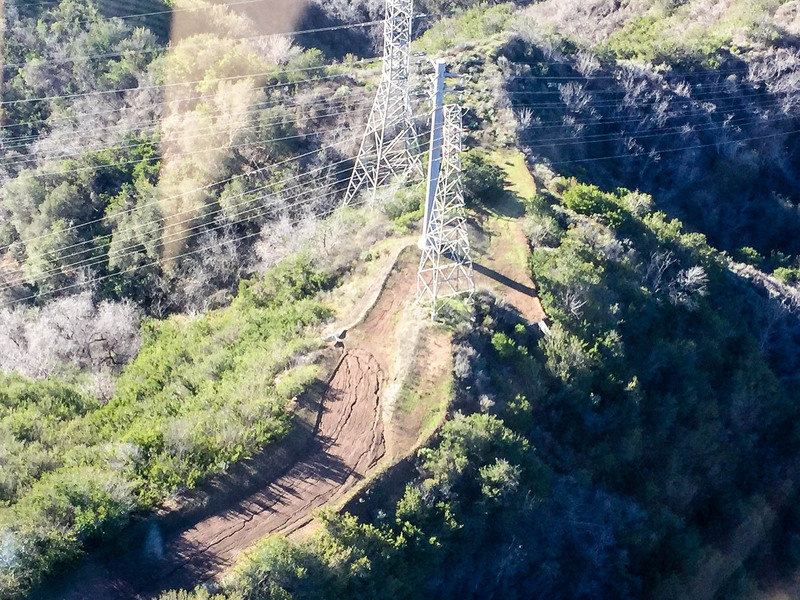 SCE’s Transmission, Air Ops divisions work together to quickly evaluate any potential storm damage in isolated areas. Jim Harvey’s phone keeps ringing every few minutes. It’s a good indication that the North Coast is getting pounded by heavy rainstorms and snow. Harvey manages Southern California Edison’s Transmission in the North Coast. This means that he and his team are responsible for a region that goes as far north as the Tejon Pass and south to Malibu. Their area also goes east to Palmdale and hits the Gaviota area to the west. The Air Ops helicopter pilot he requested will join one of his Transmission patrolmen to fly over the Santa Barbara area this afternoon to assess any potential damage from rainstorms that have poured into the Southland the past several days. When SCE meteorologists forecasted these latest storms, an Air Ops helicopter from Chino was quickly moved to Camarillo in case storm conditions grounded the helicopter. A pilot and patrolman made their first fly over of Santa Barbara on Friday during a two-hour break from the rain and then again on Sunday. So far, they have reported no storm damage in the patrol areas. The patrolmen are looking for signs of erosion and any soil or slope movement near SCE’s infrastructure. If something is found, they report back to Transmission so a plan can be developed to quickly and safely repair the damage. 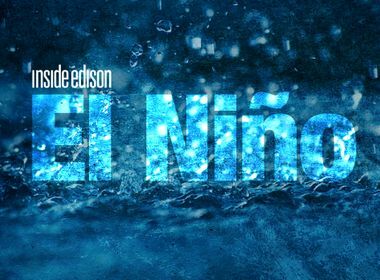 The collaboration between Transmission and Air Ops was to be deployed during last year’s El Niño, but those storms never materialized. So far in January, meteorologists are already predicting worse storms than last year. 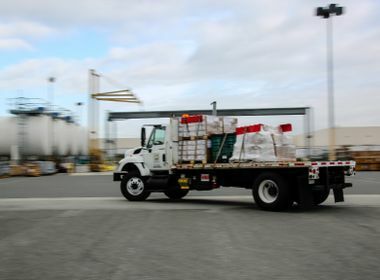 And the collaboration is an integral part of SCE’s storm response. 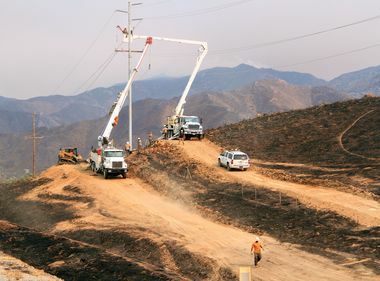 During these record rainstorms, SCE has also deployed additional personnel to inspect infrastructure throughout its service territory, particularly in areas with recent wildfires, due to erosion and possible mudslide conditions. Crews have worked around the clock to restore power to several hundred thousand customers affected by the storms over the weekend. Crews made the needed repairs despite severe weather and difficult conditions that have made some areas in the mountains inaccessible. If you see a downed power line, never try to remove it or touch it or anything in contact with it. The line may be energized. Call SCE at 1-800-611-1911 or 911 immediately.